CRB4B is our single use child resistant bag in black, designed to keep contents discreet and away from children. 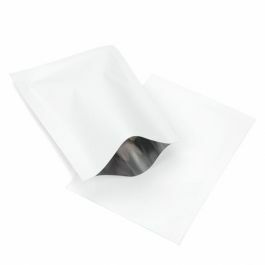 This smell-proof bag measures 1 1/2" x 4" and is ideal for small amounts of cannabis flower, edibles, and concentrates. A high metallized barrier locks in smells and moisture for airtight freshness. No tear notches and heat sealable. The CRB4B provides an effective way to package medical marijuana, edibles, and other small pharmaceuticals while keeping them out of harm's way. 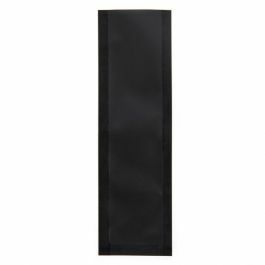 This black, child resistant bag has outer dimensions of 1 1/2" x 4" and is a great solution for packaging small amounts of adult use items. Child safety measures include no tear notches and strong 5 mm seams. 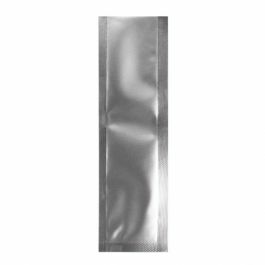 This bag can be heat sealed for a tamper-proof closure to ensure optimal safety. The black opaque material renders a simple, functional bag that shields the inside contents from view. A high metallized barrier restricts odors and moisture transmission, locking in freshness. Zero smell.